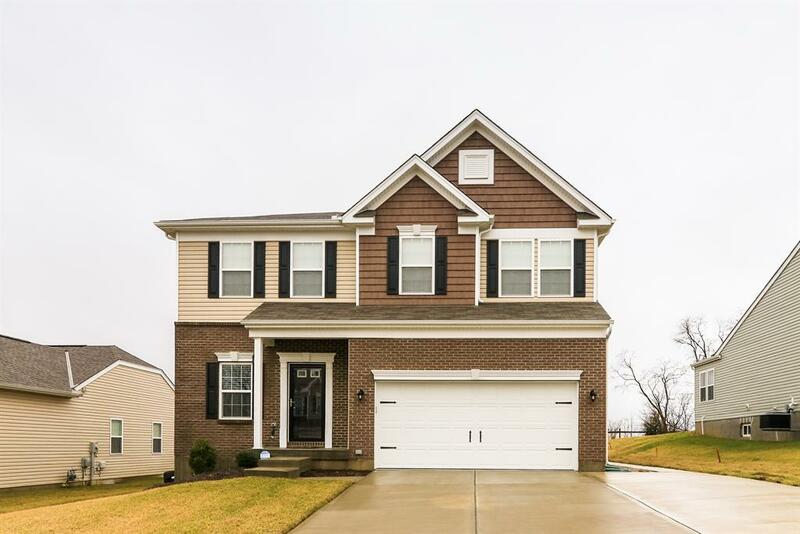 Beautiful 4 bedroom, less than 3 years new, offers nine foot ceilings, 3 full baths, & open floor plan. “Wood look” vinyl plank flooring accents the first floor. Granite countertops, 42 inch cabinets, & island enhance the large kitchen. French doors lead to the formal dining room. Popular rear staircase, 2nd floor laundry. Generous storage includes 3 walkin closets. The level rear yard has an extended patio & overlooks a peaceful horse farm. USDA Approved Area.